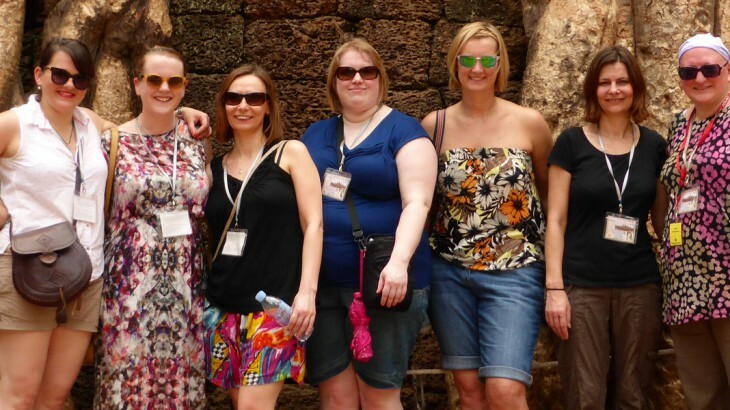 Seven of the Wendy Wu Tours team recently visited Vietnam and Cambodia in Southeast Asia – and a fantastic time was had. Our Product Manager Rowan, Finance Executive Clare and Personal Travel Consultant Mel tell us why this region is such a fascinating place to explore and share their travel tips for this must-visit destination. What is it that makes Southeast Asia appealing? Rowan: The people are just fantastic. They are so happy to share their culture and countries with you and make you feel so welcome. All the guides on our trip were so helpful and their stories about each place we visited were fascinating. Special mention goes to Anh, our guide in Hanoi. He really brought the city to life for me. Is the food as incredible as we imagine? Rowan: It absolutely is. The food is so fresh and everything is lightly seasoned. The food really reflects the hot weather and provides and antidote to the heat. It is also a living tradition in Southeast Asia – to experience the cuisine is to learn first-hand about a country. Clare: I could rave about the food for hours. The markets are open every day and many households and restaurants shop there twice a day. There is an abundance of produce. The range of fruit alone was staggering and the flavours are all light and delicate. The afternoon “Market” at the Vinh Hung Riverside Resort in Hoi An was an excellent opportunity to taste many local delicacies before venturing out to restaurants. Mel: For me, the food was far better than expected. It’s beautifully freshly cooked – and the spices and flavours used are like nothing you get at home. 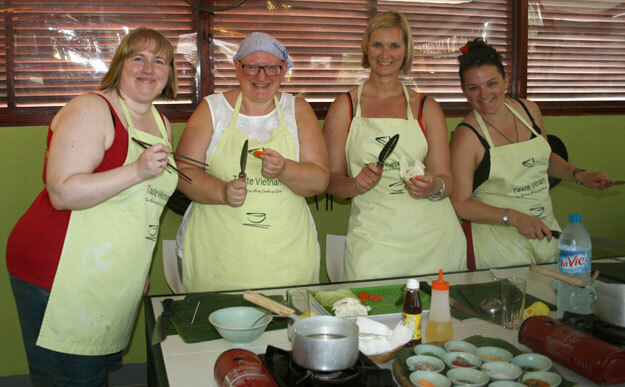 We were lucky enough to learn about their cooking and take part in a cooking class in Hoi An, which was a highlight for me. Have you got any travel tips for the destination? Clare: Take your favourite item of clothing or shoes with you as there are ample opportunities to get them copied to the highest of standards. Also, take a cooking class – it will broaden your culinary horizons. Mel: Going on from what Clare’s just mentioned, the tailors can make an item of clothing within 24 hours! And it really is great value for money. Also, eating out is extremely reasonable and the local beer tastes great. Rowan: Learn how to cross the road – it’s not anything like the UK! The guides will be able to teach you this. Don’t be afraid of trying new things and in your free time – venture beyond your hotel and the main drags to discover some hidden gems. Rowan: Halong Bay was just out-of-this-world amazing. Cruising between the limestone karsts as the sun comes up in the morning was one of the most tranquil, peaceful and beautiful moments I have ever experienced. Clare: Learning to cook with new ingredients in Hoi An, sipping cocktails on the top deck as the sun sets on Halong Bay and seeing Angkor Wat for the first time as the sun rises overhead. All of these places are worth visiting! Mel: The whole trip was fantastic and opened up parts of the world to me that I’d not visited before. Vietnam is one of my top destinations to recommend and I’m sure I’ll be visiting again in the near future. 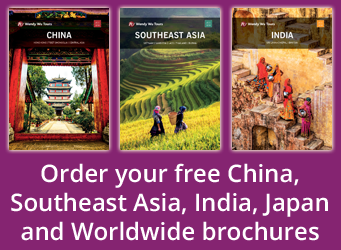 Book a holiday to Vietnam or a Cambodia tour with Wendy Wu Tours, the UK’s leading Asia Experts. Our award winning escorted, fully inclusive tours visit all the major sights of Southeast Asia for an unforgettable holiday. Cambodia, Vietnam fam, food and drink, tours, wendy wu tours. permalink. When I go to Cambodia I also want to be there in 1 week. Its a nice place to visit and I know I would enjoy.